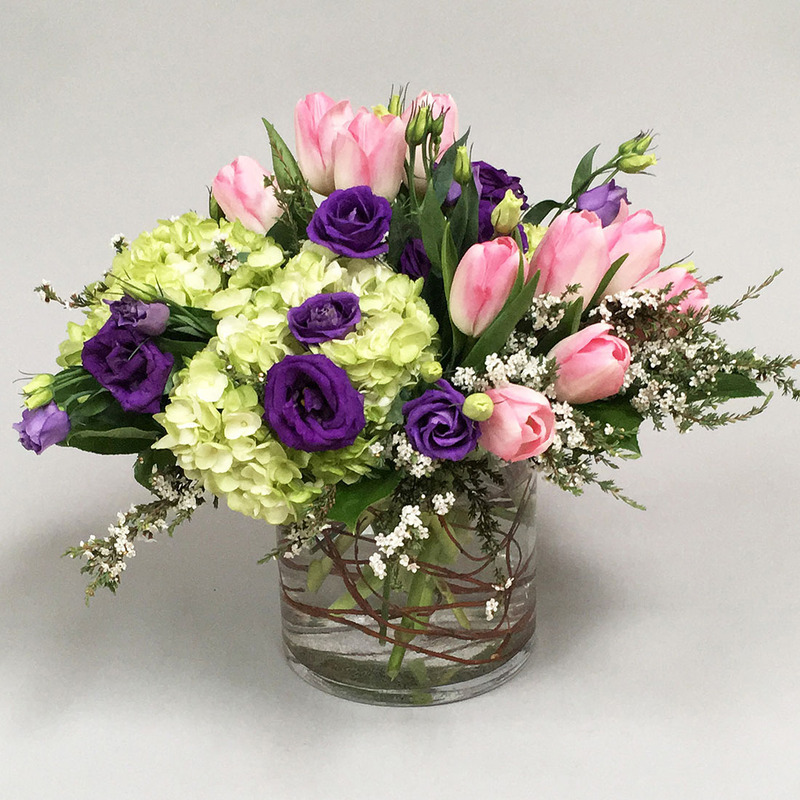 Yes, it is tulip season, but what really stands out in this piece is the deep purple lisianthus. One of our favorite blooms especially with a deep rich color spread about with green hydrangea and a nice pink tulip. Fun isn’t it. created in a 6 inch cylinder, this piece is 14″ wide and 12″ tall. Perfect for the next dinner party or to enjoy anywhere in the house.